Today, almost every home has built a home network which requires some basic hardware. The first important hardware for your home network is a data switch. It allows you to connect several computers and some other networking devices like printers, IP cameras together. Since there are so many data switches like 12 or 24 port switch on the market, which one is the right for your actual needs? Here focus on home network switch buying guide to help you find the best home network switch. For home use, one of the main advantages of using a data switch is that Ethernet connections will become much faster and more reliable, due to the higher bandwidth it can provide. As such, it’s perfect for things like gaming or transferring network files, and other real time application will perform better through the home network switch. For example, if there are several users in your home, then you can use the switch to share an Internet connection to all the users and all the connected devices at the same time. Also, you can use the network switch to build a home LAN. Then you can share any type of files maybe a music folder across your home network. Instead of transferring files on the Internet, other members of your home network can access the songs in the folder through the home network switch. This helps to simplify the transmission flow. In addition, you can add a guest VLAN to manage the guest’s access permission and ensure the Internet security. Before you decide to buy a network switch for your network, here are some specifications you should pay attention to. Network speed is always the most important performance that people concern most. Currently, the network switches are capable of handling 10,100 even 1000 Mbps transfer data, which is sufficient for home use. Therefore, choose the switch that can provide appropriate speed that you need. The port number means how many networking devices can be connected to the switch. Network switches with 8 ports, 12 ports, 24 ports and 48 ports are available on the market. So select a switch with enough ports for your devices. If you’ll add more devices in the future, then choose a switch which will offer you extra room to grow. Price is always an important factor when buying anything. There are different types of switches on the market, such as the managed switch, unmanaged switch and Gigabit PoE switch, and their prices vary greatly. So you can establish a budget for your switch, thus you can narrow the buying scope and make a final decision. Network switches with 24 ports are excellent for home use. Considering future upgrade, speed and ease of use, we choose FS S2800-24T4F as the best Ethernet switch for home networking. And we also recommend FS S1600-24T4F switch as an excellent budget option. S2800-24T4F switch is a great option for home use and small business. It includes 24 10/100/1000BASE-T RJ45 copper ports and 4 1G SFP/RJ45 combo ports. The switch provides high performance with a packet forwarding rate up to 42Mpps. It supports multiple functions like VLAN, flash memory, etc. to make it easy for your network management. Besides, it adopts the fanless design and therefore it will not generate any noise, which is welcome in both homes and offices. This is a Gigabit PoE+ switch features 24 10/100/1000BASE-T RJ45 Ethernet ports, 1 console port, 2 combo ports and 2 Gigabit SFP ports. The max power consumption of this switch is 600W. And another highlight of this switch is that it’s designed with green energy saving technology. Therefore it can save energy without sacrificing performance by sensing whether the ports are idle or not, and then power down the idle ports. It’s a great, standard switch with the plug-and-play design. As described above, we know how to buy a home network switch. We can select one based on the speed, ports and budget. Using a network switch can help us optimize our home network. FS.COM is ready to help you purchase your new data switch. Feel like you need a direction, don’t hesitate to contact us via sales@fs.com. Unicast, multicast and broadcast are the three simple methods used to transmit packets over a network. However, do you really have a good understanding of these networking terms? Here focus on unicast vs multicast vs broadcast to tell you their differences. Unicast is defined as the connection that only between a server and a client, which means it’s a one to one transmission. In computing world, it’s the most common kind of traffic in TCP/IP networks. For example, when you send or receive the email, you have to connect to the email server. And here you use the unicast transmission. In this case, a unicast frame contains the unique unicast MAC address of the destination receiver. Therefore, only the specified destination can receive the unicast traffic, and all other destinations will ignore or can’t receive unicast traffic. Using this transfer method, the server can send personalized and accurate information to each client with different requests. However, when the same information needs to be sent to a large audience, multicast and broadcast methods will be more efficient. Multicast is a one to many technology that efficiently sends data from one source to many destinations simultaneously, generally within a Local Area Network. A multicast frame contains the unique multicast MAC address of an application, protocol or data stream. To implement IP multicast communication, equipment like data switch, router between the source and receivers is required to support IP multicast function. In multicast model, the network traffic will not increase since the data packet can be sent to different destinations of one multicast group by sending one copy of the data, which means the overall network load can be reduced. However, as we mentioned above, the operation of multicast requires the assistance of switches with IP multicast function, so no matter you choose a 10gb ethernet switch or Gigabit PoE switch, please make sure the switch has that function. Broadcast is a one to all technology. When a device sends a packet to the broadcast MAC address (FF:FF:FF:FF:FF:FF), it will be delivered to all receivers that connected on the LAN no matter the receiver needs it or not. Cable television network is the typical broadcast network example. However, broadcast is not the suitable choice for the public Internet, because it will generate unnecessary interference and tons of unwanted data. After knowing the definitions of unicast, multicast and broadcast, we’ll make a comparison of unicast vs multicast vs broadcast. The basic difference is that, in unicast, there is only one sender and one receiver, while there is a single sender but multiple receivers in multicast. When we want to send the message to a number of people, we’d better choose multicast transmission since it can utilize the bandwidth more efficiently. In broadcast, the packet transmission is one to all, but in multicast the transmission is one to many. Besides, multicast requires group management, in order to ensure the message can be sent to those hosts which are interested in receiving the message. And the traffic on the multicast network is under control. The process of data transmission is different. Unicast only sends the data to one receiver, but broadcast sends the same data to all receivers connected in one LAN. Moreover, if you want to share some private or unique information with another person, you must use unicast network but not the broadcast. Here is a table to give you a clear comparison of unicast vs multicast vs broadcast. From the table, we can see that multicast is the most efficient method for data transmitting. To meet the market demand, almost all FS network switches have multicast function. As regard with unicast vs multicast vs broadcast, we know the key difference between them is the different transmission paths. So when you need to transmit some information, choose the suitable transmission method based on your actual needs. This is sometimes annoying that the video stops when we are catching up on the most recent You Tube video, or there’s no signal in the kitchen when we want to watch the cooking video. The poor wireless signal is really a headache since people’s life has relied heavily on WiFi today. How will you fix this? Welcome to the new network solution—mesh router systems. Simply put, it consists of several small routers that communicate with each other to provide a seamless wireless network in your house. This is the reason that encourages you switch from a wireless router to a mesh network. So what is a mesh network? Wiki says a mesh network is a local network topology in which the infrastructure nodes (like data switch or bridges ) connect directly and non-hierarchically, in order to efficiently route data to the end users via the nodes. This network enables the network devices that can provide connectivity capabilities like bluetooth or wifi to form a node one after another. Then a dynamic route is formed between each device and the others, and as a result the data can be delivered within the mesh network. When a node in the network topology fails, other nodes that connect with this one will also fail. But luckily, the whole network will still work, because only one connection point is broken which will not affect the other connections. 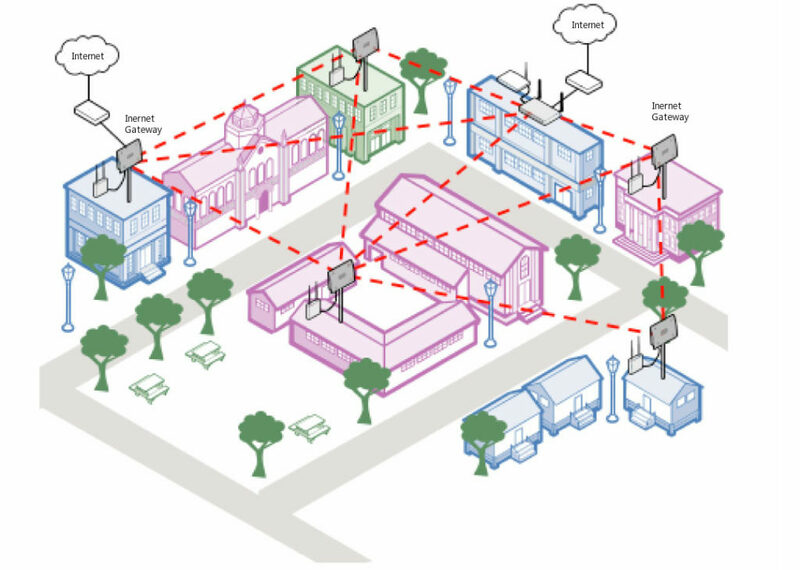 Thus, we often regard the wireless mesh network as a decentralized information network. What is a mesh network, after figuring out this question, let’s turn to the benefits of a mesh network. Compared with the ordinary Internet which is built on a few centralized access points or Internet Service Providers, mesh network enjoys many benefits. The most striking feature of a mesh network is the construction. This means users can add the wireless router in the specified places, thus they can build a new broadband access network just by the existing facilities. It’s convenient to add or remove the wifi mesh nodes. In addition to expand the wifi range, the wifi mesh network can help one’s electronic devices connect the strongest wifi signal automatically when you walk around the room. In the above part what is a mesh network, we know each additional device in a mesh network is regarded as a node, the mesh topology can support high amount of network traffic. 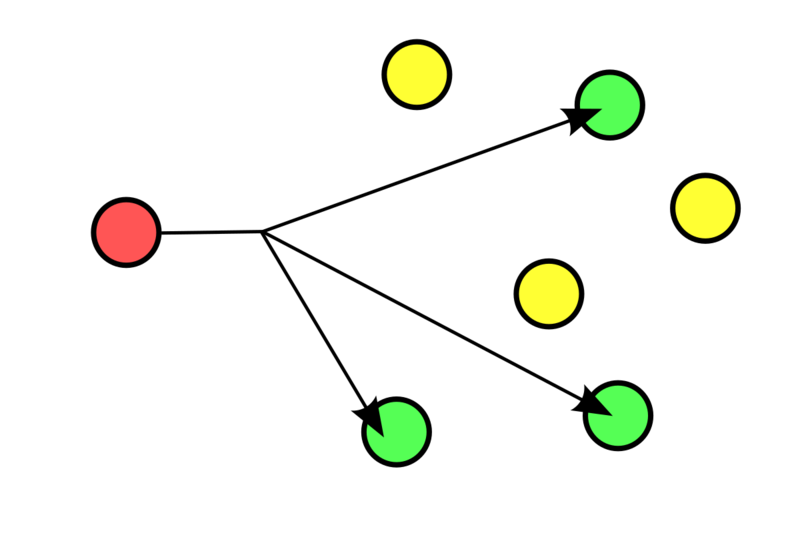 Thus, interconnected devices can send data smoothly. Traditional networks rely on multiple equipment such as Gigabit Ethernet switch or transceivers to connect users, while mesh network uses the wireless mesh nodes to spread data. Using fewer equipment means it costs less to build a network. A general 10 Gigabit switch will cost you about 2000 dollars, not mention the high-end switches or other network equipment. Also, using a mesh network will help to eliminate the complexity of cables installations. It’s not enough to learn what is a mesh network and its benefits, we also need to know how to create a mesh network. At present, the main method of wireless access is to set up wifi in the hotspots places. In order to enable wireless access throughout the whole city, technicians have to create network access points as many as possible by numbers of cables or fiber optic cables. Unlike the normal wireless Internet, to form a mesh network, technicians only need to connect one node to a network such as Internet modem or router. Then the connected node will share its Internet connection with the other nodes within its range. 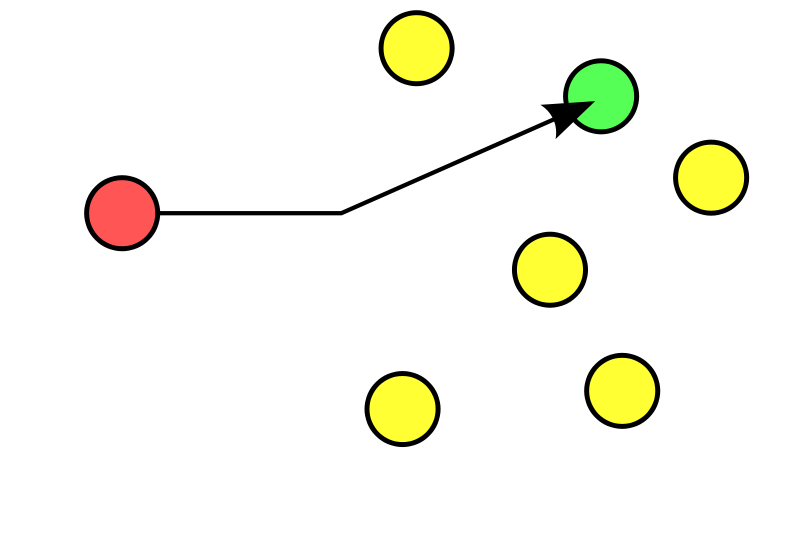 Then one after another, more nodes are connected and a bigger mesh network is created. As for the question what is a mesh network, I believe now you have a clear understanding. A mesh network has a greater range and is much faster and stronger than the normal wifi network. Any question about mesh network, please contact us via our website FS.COM. Are You Ready For 400G Ethernet? The rapid development in telecom industry is driving massive demand for higher bandwidth and faster data rate, from 10G to 40G and 100G, will this keep going on? The answer is definitely “Yes”. Some time ago, migration from 10G to 40G or 25G to 100G has been a hot spot among data center managers. While recently, 400G solutions and 400G components are coming. Are you ready for 400G? This article will share some information about 400G Ethernet. In the past couple of years, modules with four 25/28G lanes or wavelengths are the solutions for 100G Ethernet. However, they were expensive at the beginning. Until 2016, the optical components industry has responded to the demands with 100G solutions that already cost less per gigabit than equivalent 10G and 40G solutions, and new developments to further drive down cost and increase bandwidths. The next generation is 400G Ethernet. The IEEE has agreed on PSM4 with four parallel fibers for the 500 meters 400GBASE-DR4 specification that is part of the IEEE802.3bs standard being developed for approval by the end of 2017. The industry is already developing optical components for 400G Ethernet solutions. The following figure shows telecom and datacom adoption timelines. We can visually see that telecom/enterprise applications first adopted 100G technology in the form of CFP modules. Data centers generally did not adopt 100G interfaces until the technology matured and evolved towards denser, lower power interfaces, particularly in the form of QSFP28 modules. However, as the hyperscale data center market scales to keep pace with machine-to-machine communications needs, data center operators have become the first to demand transmission modules for data rates of 400G and beyond. Therefore, the 400G era is now upon us. We know that the QSFP28 modules for 100G Ethernet and SFP28 modules for 25G Ethernet are now the dominant form factors. Though CFP, CFP2 and CFP4 modules remain important for some applications, they have been eclipsed by QSFP28 modules. To support higher bandwidth, what is the right module for 400G? The first CFP8 modules are already available. 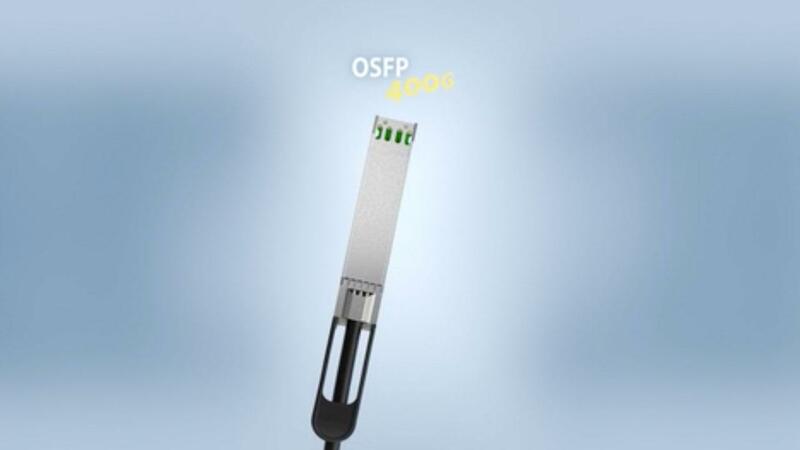 QSFP-DD is backward compatible with QSFP, and OSFP may deliver better performance, especially as networks move to 800G interfaces. CFP8 module: CFP8 module is the newest form factor under development by members of the CFP multisource agreement (MSA). It is approximately the size of CFP2 module. As for bandwidth density, it respectively supports eight times and four times the bandwidth density of CFP and CFP2 module. The interface of CFP8 module has been generally specified to allow for 16 x 25 Gb/s and 8 x 50 Gb/s mode. 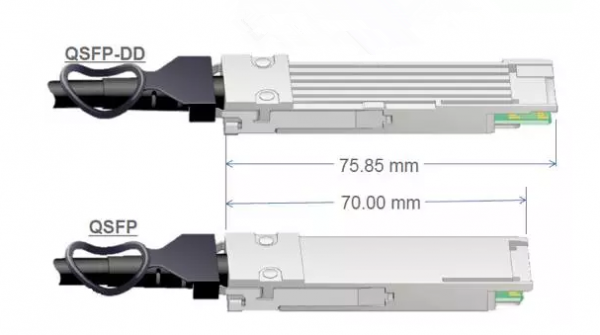 QSFP-DD module: QSFP-DD refers to Quad Small Form Factor Pluggable Double Density. It uses eight 25G lanes via NRZ modulation or eight 50G lanes via PAM4 modulation, which can support optical link of 200 Gbps or 400 Gbps aggregate. In addition, QSFP-DD module can enable up to 14.4 Tbps aggregate bandwidth in a single switch slot. As it is backwards compatible with QSFP modules, QSFP-DD provides flexibility for end users and system designers. OSFP module: OSFP (Octal Small Form Factor Pluggable) with eight high speed electrical lanes is able to support 400G (8x50G). It is slightly wider and deeper than the QSFP but it still supports 36 OSFP ports per 1U front panel, enabling 14.4 Tbps per 1U. The OSFP is able to meet the projected thermal requirements for 800 Gbps optics when those systems and optics become available in the future. Judging from the current trends, 400G will become the mainstream in the near future. But there are still some challenges for it to overcome, such as high capacity density, low power consumption, ever lower cost per bit, and reliable large-scale manufacturing capabilities. You never know what surprise the network will bring to you, let’s wait and see the 400G’s time. Today, big data centers are upgraded from 10G to 40G or 100G, and some small homelabs migrate from 1G to 10G. For some small business data center, 24 port network switch is enough. The switches produced by HP are popular with many data center designers for the high quality and low price. The HP 2910al-24G Switch (J9145A) is highly recommended in many forums. This article will guide you to have a closer look at HP 2910al-24G Switch (J9145A) switch. a 24 port switch that can be used to build high-performance switched network. It offers low latency for high-speed networking. For port configuration, it has twenty 10/100/1000 ports, four dual-personality ports, one RJ45 serial console port and four 10G ports. The HP 2910al-24G switch can provide the most flexible and easy-to-deploy uplinks in its class. It can be deployed at enterprise edge and remote branch offices, converged networks, and data center top of rack. This part will give a detailed introduction to the network ports on HP 2910al-24G switch and cabling solutions for the switch. Twenty 10/100/1000 ports: All these ports have the “Auto MDIX” feature, which means you can use either straight-through or crossover twisted-pair cables to connect any network devices to the switch. Four dual-personality ports: Each port can be used as either an RJ45 10/100/1000 port or as a mini-GBIC slot for use with mini-GBIC transceivers. By default, the RJ45 connectors are enabled. If a mini-GBIC is installed in a slot, it is enabled and the associated RJ45 connector is disabled and cannot be used. If the mini-GBIC is removed, the associated RJ45 port is automatically re-enabled. Four 10G ports: These ports provide connectivity for 10G speed though either copper or fiber optic media. 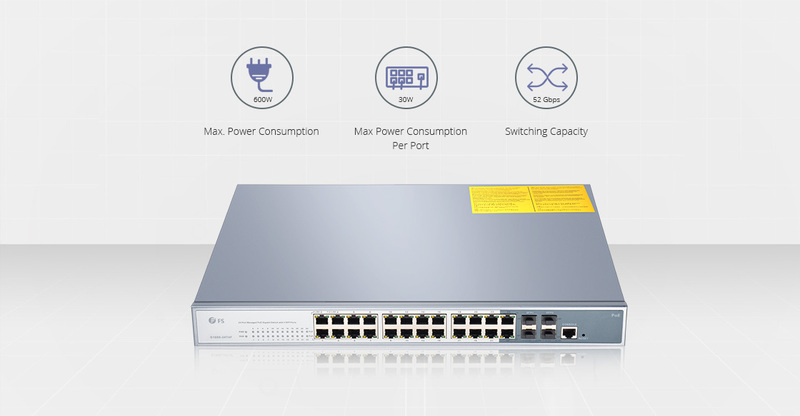 Since HP 2910al-24G switch has 10/100/1000 ports, it can be used for 1G to 1G connection. As shown in the following figure, two 1000BASE-SX SFP transceiver modules are respectively plugged into 1G ports on two HP 2910al-24G switches. Then these two 1000BASE-SX SFP transceiver modules are connected via a LC multimode fiber optic cable. Designed with 10G ports, HP 2910al-24G switch can realize 10G to 10G connection just like the above 1G connection. Just replace the 1000BASE-SX SFP transceiver module with 10GBASE-SR SFP+ transceiver. Besides, you can also accomplish 10G to 10 connection by using a 10G SFP+ to SFP+ DAC twinax cable. The following figure shows the cabling solution for you. The HP 2910al-24G switch (J9145A) is a high-performance Gigabit Ethernet switch. It is a good selection for small business network deployment. If you need compatible fiber optic transceiver and fiber optic cable for HP 2910al-24G switch, you can have a look at FS.COM. The following table shows some compatible optical components. For more details, you can visit our site.